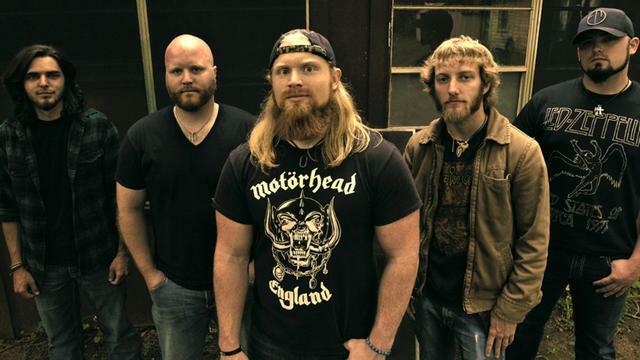 A hard-driving Southern rock unit based out of Palestine, Texas, Blacktop Mojo's fiery blend of post-grunge, classic rock, and metal falls somewhere between SOUNDGARDEN, BLACKSTONE CHERRY, and LYNYRD SKYNYRD. Founded in 2012 by front-man Matt James and drummer Nathan Gillis, the band eventually morphed into a five-piece with the additions of bass player Matt Curtis and guitarists Ryan Kiefer and Kenneth Irwin. They released their debut album, I Am, in 2014, followed by a heavy bout of touring that saw the group sharing the stage with a wide array of heavy hitters, including BON JOVI, SAMMY HAGAR, CANDLEBOX, DARRYL "DMC" MCDANIELS, SHAMEN'S HARVEST, POP EVIL, PUDDLE OF MUDD, and DROWNING POOL.